Lifetime Double Deluxe Playset - Features an A-frame clubhouse with a hardtop roof and marine decking, 3 belt swings, a trapeze bar, propeller swing, ladder with fireman's pole, two 9' wavy slides, climbing wall, cargo net, monkey bars, and a ships wheel with binoculars. 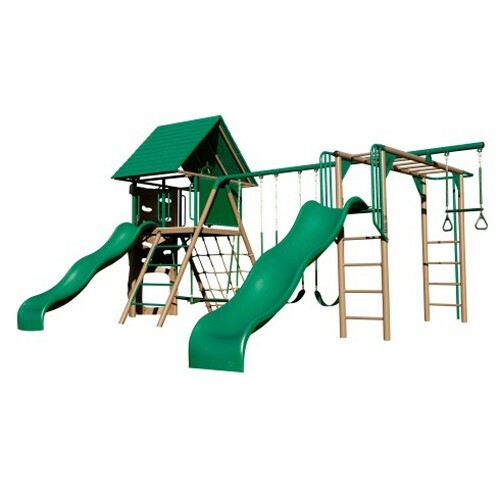 This model comes in earthtone colors (tan/green). 5-year limited warranty.